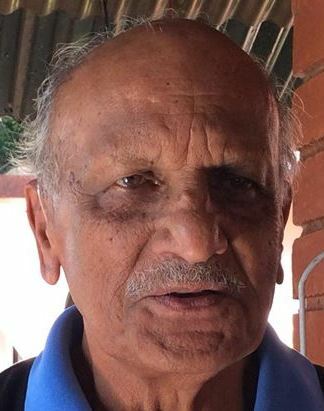 Major General Codanda K. Karumbaya (Retd) (in picture) has levelled serious charges against the Federation of Kodava Samajas headed by Mallengada Dada Belliappa. He said the Federation was an illegitimate body and does not represent the Kodava community as a whole. In a post on the Facebook Group Coorg/Kodagu Books, the Major General has alleged that a prominent politician, a ‘thakka’ and a couple of property developers have conspired to remain in the organisation permanently without election. EDITORIAL: The Federation of Kodava Samajas need to be lauded for setting up the Kodava culture centre at Balugodu near Virajpet. Chief minister Siddaramaiah recently inaugurated the Field Marshal K.M. Cariappa Cultural Centre and General K.S. Thimayya Multipurpose Sports Complex. Since the Federation has taken government grants, there is need for transparency and accountability in its functioning. The Federation should act on the suggestions made by General Karumbaya. The Federation should not become a cabal of a few vested interests and self-serving politicians, but should emerge as the voice of the Kodava community. IS KARNATAKA GOVT INTERFERING IN RELIGIOUS PRACTICES OF THE COORGS? I hope the new president at Bangalore Kodava Samaja, Mandeda Ravi will drive a new initiative to forge unity and solve the problems of the Kodava community and of the Kodagu environment. They must avoid groupism and petty infighting at all costs. There are many problems that can be solved with the intervention of the Kodava Samaja. I agree with the General, the Kodava Samaja has become irrelevant to the community and is today just a group of elitist people who gather to have a good time. It should be completely restructured and become community facing and not inward facing. It should gather views from the Kodava grassroots, for which they need a separate level of individuals. It should have people who use this information to create policy that is realistic and community uplifting. They need individuals who can interact with govt and other bodies to enable such changes. The keri level leaders should be tapped for information and action. They can easily use facebook to integrate their various activities. There are Kodavas in management and media who can create a new model of Kodava Samaja, one that is down to earth, practical, helpful and influential when it comes to interaction with the government and media. The Kodava auto driver who cannot afford to pay his child’s school fees and makes him stay back at home, instead of going to school…doesn’t care who won the Kodava Samaja elections. The Kodavas who are losing their land to the power line, which could have been stopped if this level of action that we see today, had happened two years ago….they don’t care either. This is clear lack of relevance to the community. The message that General Karumbaya and General Somanna are sending out is clear – Kodava Samaja, Reinvent yourself for the good of the community or die as an organisation. And remember that history will judge you.